China’s presence throughout Eastern Africa has become ubiquitous. From sprawling factories to road and rail construction, Chinese investment is often synonymous with infrastructure, aid and economic possibility. However, news that China will be slowing down its investment in Ethiopia, one of its major regional partners, could serve as a warning that Africans hedging their bets on China might come up shortchanged. Beijing has invested billions into the Ethiopian economy as part of its Belt and Road Initiative, a globe-spanning investment scheme to build infrastructure and promote trade with China. Involving more than 60 counties around the world, Ethiopia is one of China’s most important partners in Africa because of its role as a burgeoning logistics and manufacturing hub for targeting the European market. Yet despite this investment netting roads, industrial parks and factories, the country is still grappling with a lack of economic diversification and foreign exchange shortages. Much in the same way African economists have criticized the continent’s dependence on foreign aid as ultimately detrimental to self-sufficiency, it’s becoming clear that overreliance on China could hurt Ethiopia in the long run. Putting all financial eggs in one basket has made the country vulnerable to both Chinese trading whims and political influence. 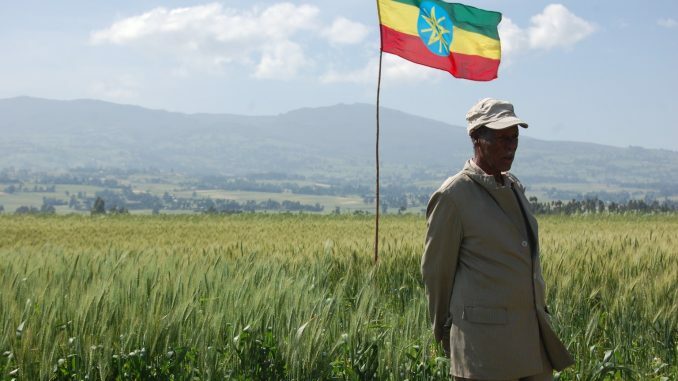 But now, with China souring on future projects, and sensing impending economic hardship, Ethiopia was quick to seek out cash inflows from other countries. As the main incentive for attracting new investments, it was announced last Tuesday that Prime Minister Abiy Ahmed will be opening sectors which were traditionally state-controlled monopolies. In the announcement the government encouraged foreign and domestic private investment in airlines, logistics, electric and telecoms industries. This is a surprising turnaround from the Prime Minister who as recently as April displayed remarkable reticence to opening these sectors to potential investors, causing fears that financial potential under his leadership would suffer from the same limitations as previous administrations. However, the prospect of waning Chinese investment has clearly caused Addis Ababa to reconsider its rigid position on allowing investments from all over the world. While still hedging its bets, the realization that China is not the reliable partner it pretended to be also holds a unique opportunity for Ethiopia to embark on a new developmental path. After all, when Ahmed first stepped onto the scene early this year, he promised big changes for a country which has long been mired by political unrest. Six months later, Ahmed has largely delivered on these promises, freeing hundreds of political prisoners, arranging for the release of Ethiopians imprisoned overseas, opening political discussion, and removing numerous restrictions on internet access. Most recently, Ahmed announced an end to the state of emergency that gripped the country since February and concluded an unconditional peace agreement ending years of conflict with neighbouring Eritrea. This “potentially historic” move indicates that Ethiopia is severing ties with its bloody past, and reaching out to its neighbouring partners to ensure mutual survival. In doing so, Ahmed has sparked renewed interest from European and American investors who have long insisted on political and social reform as a prerequisite for doing business in the country. For instance, in 2016 the European Investment Bank promised $500 million to build industrial parks and potentially adding around 100,000 new jobs. However, with protests calling for political and economic reform skyrocketing under then-PM Hailemariam Desalegn, the investment project eventually stalled. Now that the country is emerging with a new leader and a new policy of relaxed investment restrictions and improved human rights, it is possible that the EU and US will start viewing Ethiopia as a more viable investment opportunity again. Ethiopia’s lesson is one that neighbouring Djibouti would do well to pay attention to. Djibouti has long courted Chinese investment by leveraging its role as Beijing’s strategic gateway to Addis Ababa. Indeed, over 95 percent of Ethiopia’s trade passes through Djibouti, making it one of the pocket-sized country’s main sources of revenue. Much of that economic value was unlocked thanks to Chinese investment. Beijing’s fingerprint extends into almost every sector, ranging from infrastructure to basic goods. China even built a military base in the country last August, putting it at a strategic advantage for trade routes in the Red Sea and the Gulf of Aden. And while Djibouti is comfortable to lean exclusively on China, it has alienated other key international trading partners in the process. The Doraleh Container Port is one of Djibouti’s most important economic assets and serves as the main access point for goods bound for Ethiopia. However, a recent dispute with UAE-owned DP World over who would run the port has created international unease. DP World was given a 30-year contract to run the port in 2006. However, Djiboutian authorities unilaterally terminated the contract and seized control of the port in February, with the office of President Ismail Omar Guelleh stating the port would remain in the hands of the government. The move against DP World has alarmed the US about the extent of Chinese influence in the country – especially since the seized port is expected to be handed over to Beijing as a sign of gratitude from president Guelleh. Apart from sending the message that companies other than Chinese ones are not welcome in Djibouti, the country is on a path to greater international isolation as it closes off options for economic diversification while becoming increasingly beholden to China. With Beijing showing increasing stinginess in Ethiopia, Guelleh’s decision to embrace China could very well backfire dramatically. The twin cases of Ethiopia and Djibouti form a cautionary tale to other African countries deciding to increase their dependency on China to unsustainable levels. While Addis Ababa is taking steps in the right direction, it must be noted that it was for too long too comfortable with Beijing underwriting its economy. Only when China signalled to axe its funds did the leadership awake to the economic realities and seek to create an investment-friendly climate. For countries like Djibouti, however, the allure of easy Chinese money remains too great – with dire consequences for regional stability should the money stop flowing.